We are the premiere brochure distributor for the tourist industry in Western North Carolina. We have our custom racks in motels, attractions, some restaurants and craft shops from Black Mountain, NC to Asheville and west. 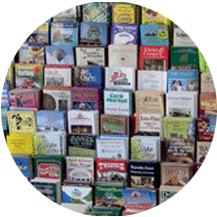 We display a large variety of tourist brochures including attractions, shopping, antique shops, arts and crafts, real estate developments and outdoor activities. We also stock brochures from area towns and merchant groups. 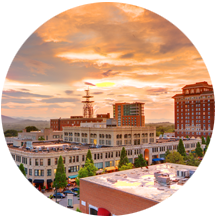 Planning your vacation to Asheville and Western North Carolina? 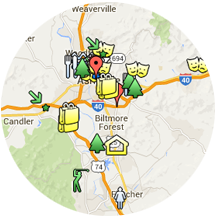 Explore the best attractions they have to offer with our interactive maps. Learn how Mountain Information Centers can help you effectively promote your business to the thousands of tourists visiting the area each day. Contact us Today for Your Advertising Needs! Whether it is dining, shopping or attractions be sure your busness is found! Reserve your spot in Western Noth Carolina’s premier brocure racks. In this digital age, printed media remains the preferred method of in-market visitors when seeking tourism information.